Chief Strategy & Innovation Officer Rick Cruz welcomed students and their families to the event applauding them for their commitment to the future. 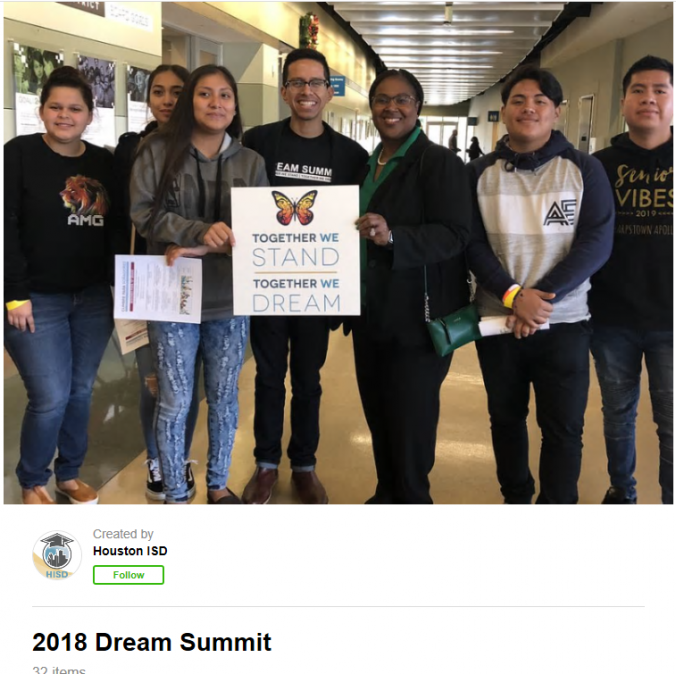 Interim Superintendent Grenita Lathan encouraged the students and their families to take full advantage of the resources and sessions offered – and to continue to dream big for their futures. Admissions representatives from many Texas colleges and universities were on hand to answer questions and host information sessions on the Texas Application for State Financial Aid (TASFA). The summit also included a college and resource fair, and a financial aid application lab for seniors. Seniors were able to participate in breakout information sessions, including a discussion about college essays, which Ammara Dagha, a senior at Wisdom High School, found extremely helpful. The day ended on a high note for many students in attendance, including Juan Camilo, a student at Bellaire High School, who said the event left him feeling empowered and excited for his future.